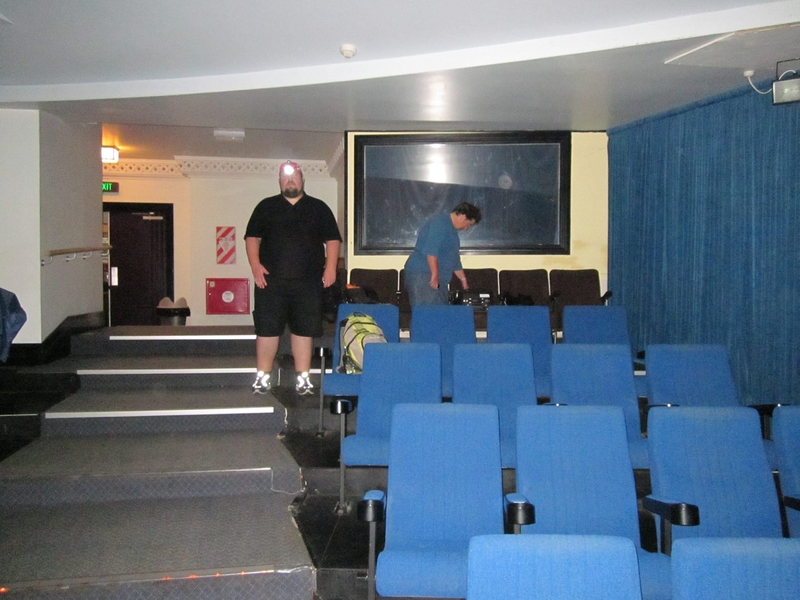 What will the team find in this century old Devonport theatre where the ghost of a former projectionist is said to dwell? Join us on a joint investigation with the Auckland Spirit Chasers. 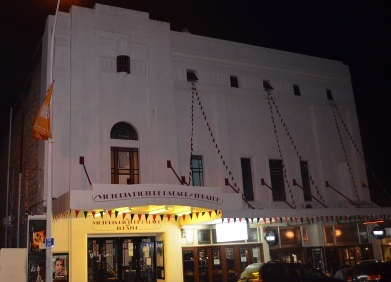 The Victoria Theatre and Picture Palace is located in Devonport, on Auckland’s picturesque North Shore. Known for its beaches and expensive real-estate, the area was primarily rural settlement during the time the theatre was built, with Devonport being the local hub of activity due to its vicinity to the Naval port. Construction of the Auckland Harbour Bridge in 1959 turned the North Shore suburbs into a commuter town for the Auckland CBD, leading to a population boom in the region. The Victoria Theatre was built in 1912 and is the earliest purpose-built cinema still in existence in the Southern Hemisphere. 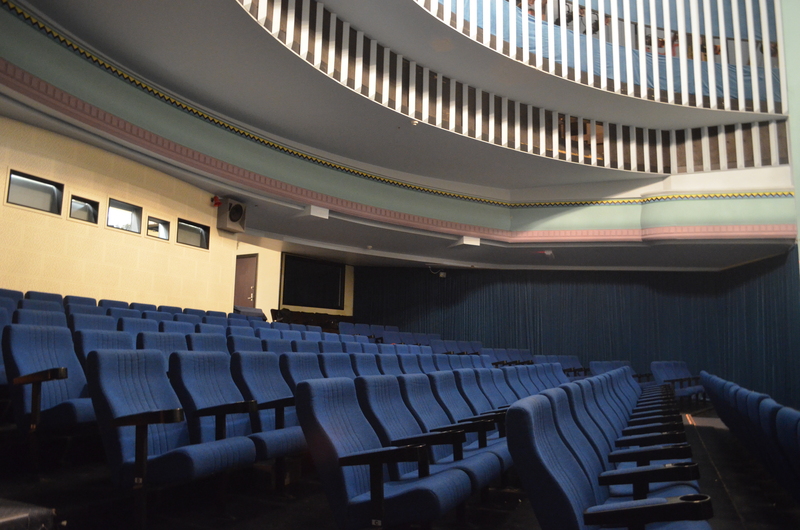 It was built by American John Leon Benwell during the silent movie era, when up to a thousand people could be seated in the theatre. In 1914 John Benwell wanted to return to the USA and sold the Victoria to a new picture company. In order to cash in on the ‘talkies’ boom, in 1929 the company transformed the building from a ‘picture palace’ into an art deco, up-to-date cinema. However the depression struck soon after, audience numbers plummeted and the company ceased operating in 1930. From 1945 Kerridge Odeon took over the Victoria and ran it successfully for 43 years, but by the late 1980’s patronage had dropped and the theatre was closed and put up for sale. 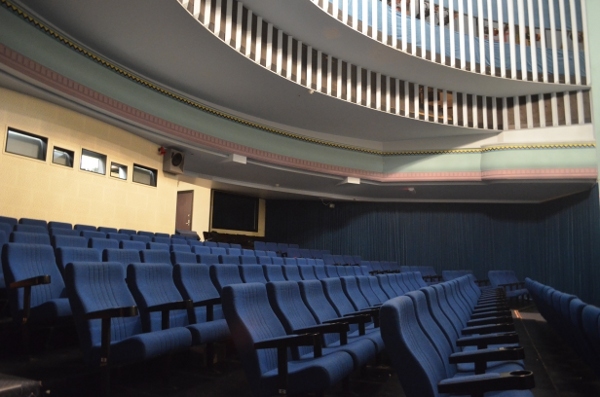 The Vic was transformed again in 1989 by publisher, Bruce Palmer who converted the Victoria Theatre into Charley Gray’s Twin Cinemas Devonport, by separating the original stalls and circle. The Victoria changed ownership several times during the 1990’s and into the new millennium and operated with various degrees of success. In 2001 it faced being turned into apartments and there were a number of attempts by local groups to retain the Vic as a theatrical and cinema space. 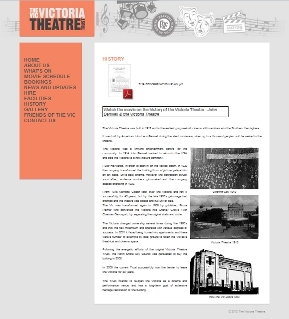 Following the energetic efforts of the original Victoria Theatre Trust, the North Shore City Council was persuaded to buy the building in 2006. In 2009 the current Trust successfully won the tender to lease the Victoria for 33 years. 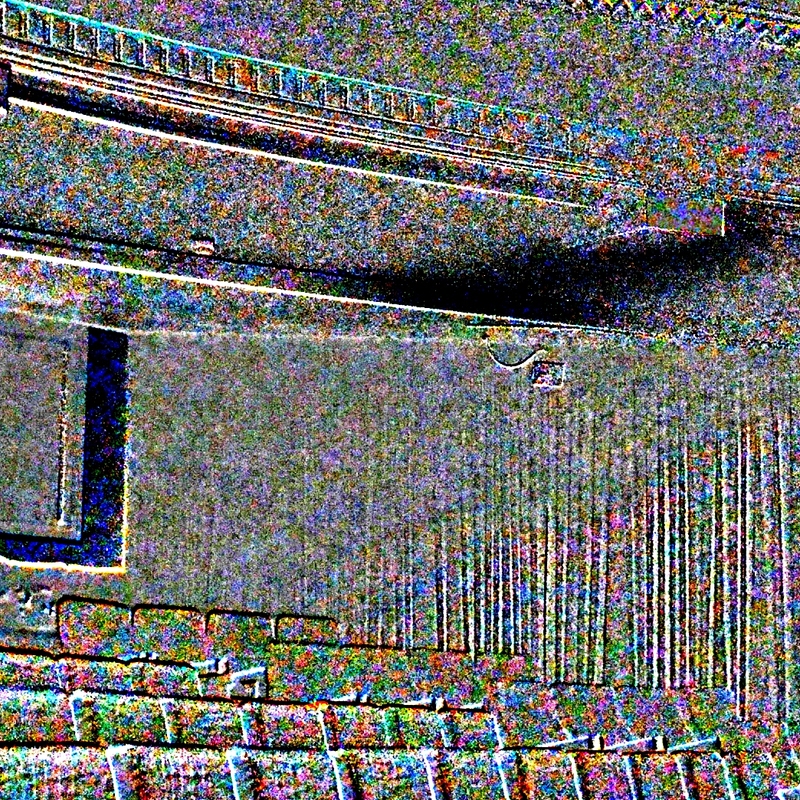 Current staff report the present of an entity who they have named “Ethel”, believed to be a former projectionist who worked, and died, at the theatre. Reports include feelings of being watched, and some object manipulation. Both teams arrived just before closing time as the last of the patrons are leaving. Entering the building at 11pm we were given a tour of the theatre by one of the current projectionists, Alex, who has worked there for a number of years and was able to give quite a good run down of the building’s renovations and some of its history. Static IR (Infrared) Video cameras were positioned on the stage right looking across the seating, back wall and top mezzanine areas. Also up on the top mezzanine floor / lighting rig, angled, capturing the right of the stage, plus a centered chandelier and the other half of the mezzanine area. Full photo and EVP sweeps were done by all members throughout the three-hour session. Static digital audio recorders were positioned in key rooms for a minimum of at least one hour each room. A static digital motion sensitive IR trap camera was positioned down in the Green Room for the entire three-hour session. Key target rooms were the first floor projection room were a past projectionist allegedly died whilst working many years ago and The Green Room, which has seen much activity in its rich history of being an iconic venue of film and live theatre. An empty soda can was positioned on a sheet of paper with a circle drawn around its base to detect any movement. Result: No movement was detected. In the upper mezzanine, alongside the static IR video camera, two powerful magnetic ball bearings were placed at a distance of about 10cm from each other. Any movement causes the two balls to attract and join together. Result: No movement was detected. No video anomalies were detected upon reviewing the footage taken during this investigation. 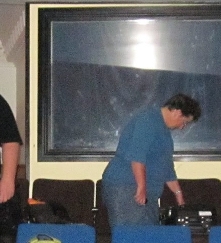 Nearing the completion of the investigation, Haunted Auckland member, Barbara captured an unusual ‘mist’ form photo whilst aiming the camera at Vicki and Matt. We tried to reproduce this effect by trying different cameras in the same positioning but could not recreate this photo at the time. With further analysis afterwards however, it was ruled out as not being paranormal and was merely a trick of lighting and the positioning of creases on Vicki’s clothing. This image was an attempt to replicate the original “Face in the glass” image. The above photograph was taken from the front row of seats in the main theatre. 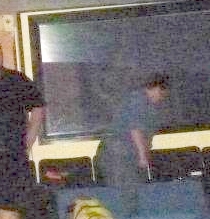 At the time our investigator, Matthew, felt a presence towards the entranceway near back row of seats. This prompted him to take a series of photographs in that direction. 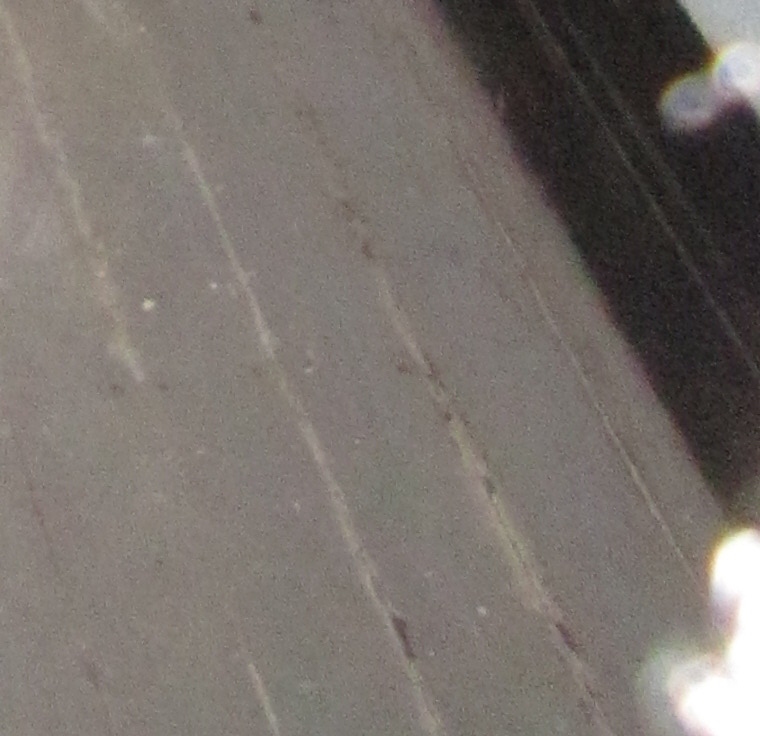 Upon reviewing the photographs, this one contains a light anomaly on the ceiling in centre frame which was not present in the other photographs. To the left is an enhanced copy of the photograph. 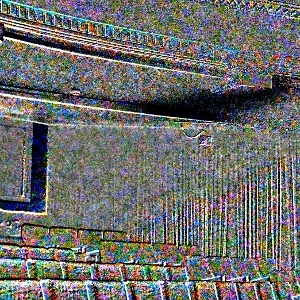 A grain-extract filter was used to compare the photograph with another taken immediately before it, this was then colour inverted, and contrast enhanced to show the position of the light anomaly, which now appears as a shadow. There were no cameras or light sources in the room which could have illuminated from this direction at the time. In both this photo there appears to be something between the last seat in the row and the wall beside the door. 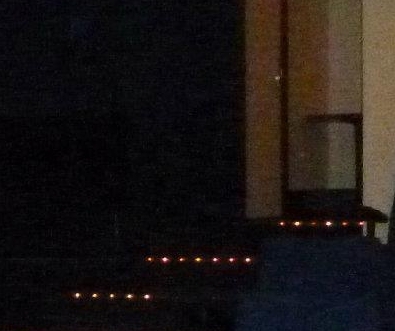 Unfortunately the general consensus is that the pictures are not clear enough to be certain there is something there. 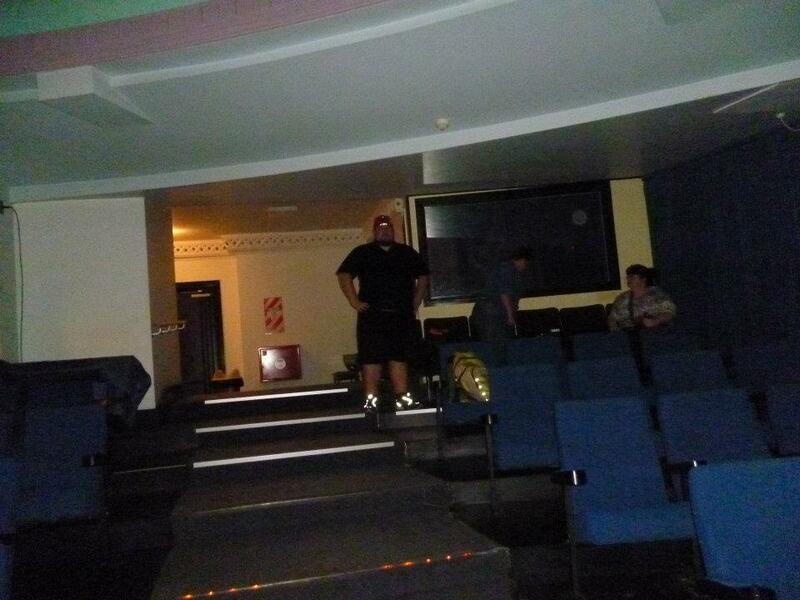 I think it is interesting to note that Lily (who is the sensitive with Auckland Spirit Chasers) said that she sensed something around the old seats and the photos do appear to show “something” but are not clear enough to clearly show anything paranormal. This image was taken in one of the theatre fire exits. In the bottom right hand corner of the image, a light anomaly has occurred. This anomaly did not appear in any subsequent photos taken on this camera, and does not appear to be the normal dust orb phenomena due it the tight grouping on concentration of the lights. 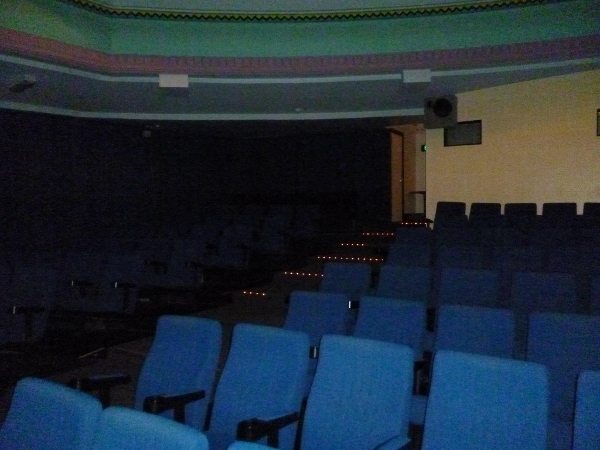 The above audio was recorded in the upstairs projection room. There has been some debate within the team over the veracity of this E.V.P. due to noise contamination from a downstairs bar which was still open during the investigation, the noise and music from which was present on much of our audio. At the time of the recording however, the team members present in the projection room could not hear any individual voices coming from the bar, and believe that the voice captured was not audible at the time. A particularly strong magnetic field was detected during the investigation. Using a tri-field meter set to Magnetic Field mode, the field appeared to radiate out 20 meters from the bar area on the south-western corner of he building (which we could not access), and could be detected 3 floors up. At its maximum, on the 2nd floor directly above the bar, the field reached 25 Milligause, over 100 times the normal background magnetic field.Further investigation is required to determine whether there was something contained in the downstairs bar that would generate this kind of magnetic field. No anomalous electrical fields were detected in conjunction with this. All audio samples and images can be downloaded via the links above. We invite independent analysis and welcome any opinions from other paranormal investigation groups or the general public. Feel free to get in touch with us via our contact page. Visiting us briefly on the night was one of the other current projectionists there, who told us his brother also worked there 10 years ago and had an experience while sweeping the theatre. Along the wall of the upstairs projection room/booth is a row of small windows with shutters. While he was working, the shutters all suddenly slammed shut one after the other while he stood and watched. No one was in the projection room at the time. Investigation of the shutters concluded that they are not linked by any mechanism and must be closed individually. Medium, Lily Watson, from Auckland Spirit Chasers strongly picked up on the name Albert. Later on in the investigation we discovered a room called the ‘Albert Room’. We are unsure at this point as to whether it held any significance or if it was named after Victoria’s Albert (as is the case with much of Devonport). Lily also sensed a presence in the Green Room of a man who used to work at the theatre in the very early days and had a conversation whilst sitting in the dark by herself. It seems it was his job to make sure the room was ready for someone else who used to work there, perhaps a pianist who played in the theatre with the very early pictures/news broadcasts. Also ‘picked up’ by Lily were an older male and child in the small theatre which used to be a foyer and two men in the projection room upstairs who apparently used to work there. Sensitives from both groups experienced some interesting interactions with possible entities however as this is not verifiable by either visual or audio evidence, Haunted Auckland is not able to present their testimony as conclusive proof of paranormal activity within the Victoria Theatre. 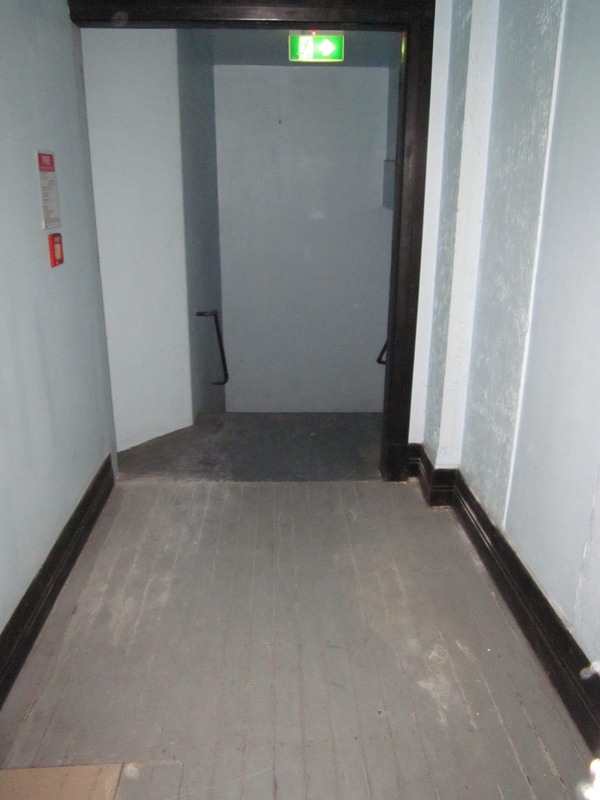 After reviewing the two groups’ files of over 1000 photographs, 8 hours of audio and over 4 hours of static video footage, we were unable to document any conclusive evidence to prove the existence of a ghost, or ghosts present within the walls of the Victoria Theatre. Haunted Auckland team members did not notice anything overtly unusual during the physical investigation. However, this does not necessarily mean that the theatre is not haunted, but that we were unable to capture anything definitive, at this investigation. 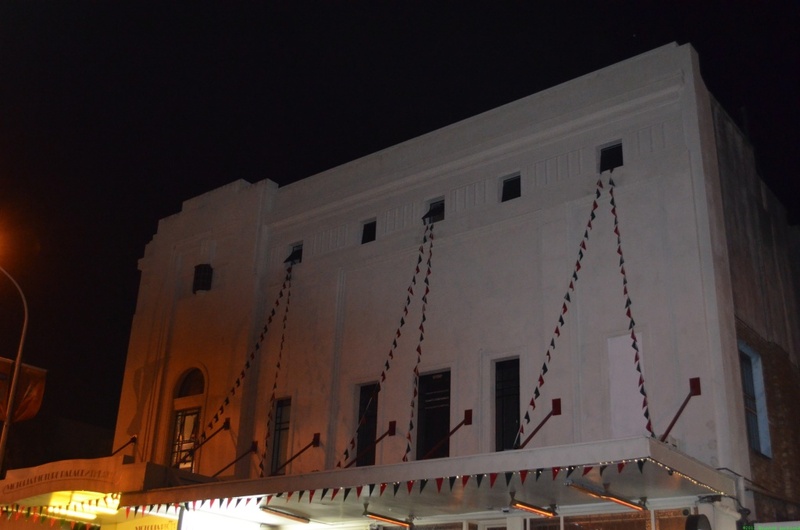 Staff and patrons to this wonderful theatre have been witness to many incidents and experiences through the years. It is likely at the very least, that the Victoria Theatre does contain some residual phenomena considering the wide range of artistic activity that has taken place within its walls and the large volumes of audience that have frequented the venue through the decades. The Victoria Theatre in Devonport is in our opinion worthy of further investigation.